At The Berekely Clinic, we use the best cosmetic treatments available Juvederm part the hyaluronic acid family and it can be used to provide 9 months to one year of correction for moderate to severe facial wrinkles and folds. Why do we use Juvederm in our Glasgow facial aesthetic clinic? Our patients love Juvederm products. The formula is a smooth, which gives a better after results than other hyaluronic gel products that tend to have a more granular consistency. Juvederm products are developed using the Hylacross technology. We use a formula which allows the smooth application. As Juvederm is made with Hyaluronic acid, which is a naturally occurring sugar found in the body, Juvederm is completely safe to use and it is almost unheard of for a patient to take a reaction to this type of treatment. If you are looking to add volume to your face, then Juvederm is the perfect facial filler. Hyaluronic acid holds in water at the injection site, it then acts as a cushioning agent. For months Juvederm can add temporary volume to the face. We have has a number of clients enquire about our dermal fillers and the first thing they ask us is; “What are they made of?”. At The Berekely Clinic, we would never compromise our patient's safety, that is why we always offer safe, tested products which give incredible results each and every time. Juvederm dermal fillers are extremely popular and are used a worldwide solution to wrinkles and facial lines. The great thing about Juvederm is that it is so versatile and it can enhance lips and add definition to a patient's chin and cheeks. If you are concerned about a certain area of your face, we would be happy to consult you on how fillers can improve your complexion. Juvéderm Ultra is a natural, biodegradable gel which we use to rejuvenate the appearance of your skin. Juvederm works almost immediately as it sinks easily into your skin, filling out any unwanted lines. The end result is excellent as it leaves a smooth and natural looking. Facial Aesthetics in Scotland is more popular than ever before. Year on year, the number of cosmetic procedure in Scotland rises. As a Juvederm Scotland clinic, we understand how the ageing process takes a toll on the skin. Juvederm is often used to reduce the signs of ageing. As we grow older, our underlying tissues that keep our skin fuller and plumped break down. Our skin ages and over the years it is common to be left with laugh lines, smile lines, and unwanted crow's feet around the eyes and other areas of facial movement. 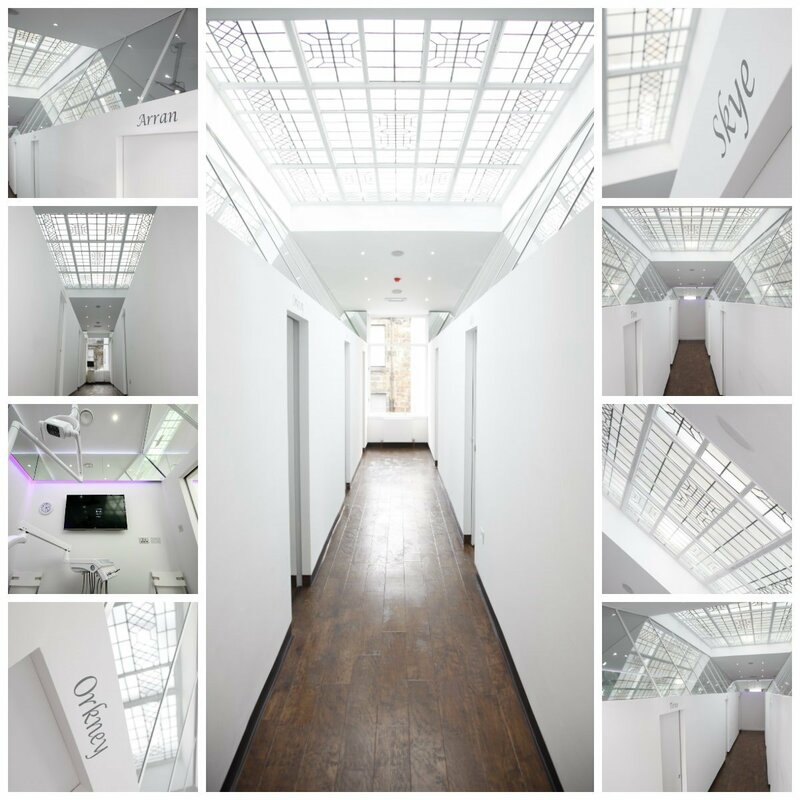 Are facial aesthetics in Glasgow suited to you? We are often asked what type of facial aesthetics in Glasgow is the best. The honest answer is that there is no one-size-fits-all treatment when it comes to cosmetic treatments in Glasgow. Juvederm filler can help fill lines and creases, temporarily restoring a smoother, more youthful-looking appearance. The procedure is an effective procedure for just about anyone who is looking to diminish the appearance of fine lines and wrinkles. Every patient is unique and during your consultation with our facial aesthetics expert, they will determine the best and most effective treatment plan which is suited to you. The Berkeley Clinic also have a dermal filler Glasgow team, contact us to find out more about our wrinkle filler treatments. Juvederm fillers are extremely effective as they mimic the hydrating and lifting effects of hyaluronan. The main advantages of using this type of filler in Glasgow is that keeps the skin moist and elastic. Are you contemplating facial fillers but are unsure which would be most suited to you? Here is a selection of the area’s which we will usually inject. This is the only guide, however, it may help you understand and how to tell if you might benefit from a treatment in these areas. Juvederm is extremely effective for those who want to reduce the appearance of ageing. As mentioned they can also be used to add volume and create facial contours. Our team would be happy to talk you through the procedure and how it works. Get in touch with our facial aesthetics Glasgow team today. Some patients feel hardly anything, others feel a slight discomfort. If you are concerned about this Juvederm is injected directly into the skin with a fine needle. Some Juvederm products contain the local anesthetic lidocaine to help lessen discomfort during injection, if this is something you should discuss these options with your physician prior to the procedure. We recommend that you avoid exposure to any of the situations listed above. Mixing your treatment with these could lead to unnecessary side effects such as temporary redness, swelling, and/or itching at the injection site. If any does swelling occurs, do not panic, simply place an ice pack over the swollen area. Depending on the area where you have has Juvederm applied you should ask your physician how long to wait until make-up can be re-applied after the procedure. As Juvederm is made with hyaluronic acid, your body will break this down over time. Every treatment is different and some patients can leave with Juvederm lip fillers that last for up to two years. Correction with Juvederm is temporary. With some treatments, re-injections may be needed. For other facial filler treatments, it will typically last between 9 months and 12 months after the first treatment.